The best low carb fried chicken ever! This keto fried chicken is so crispy, you won't believe it. 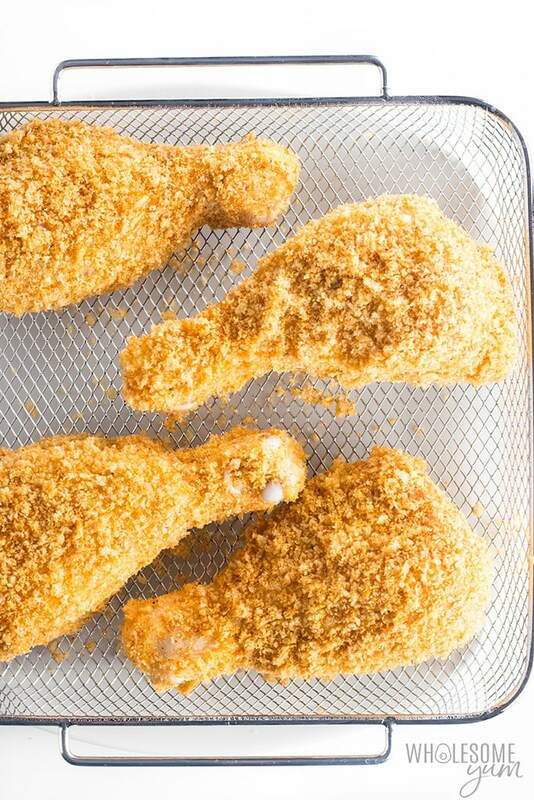 The secret to this air fryer fried chicken is the perfect grain-free breading. This post is sponsored by GoWise USA. All opinions are my own and I only share products I personally love. Thanks for supporting the brands that make this site possible! 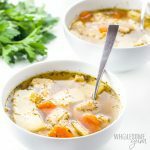 This is the last recipe of the year! 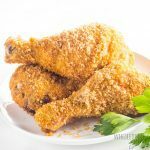 I want to leave you with something that will support your upcoming resolutions and also show you that keto comfort food can be absolutely delicious: low carb fried chicken in the air fryer oven! This keto fried chicken recipe is crispy on the outside, juicy on the inside. You’re going to love it. 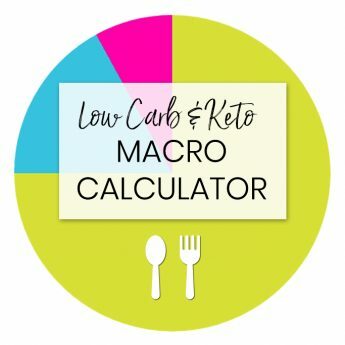 My whole family ate it up, and my husband kept asking if I was sure it’s low carb. 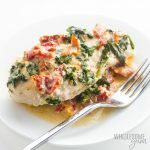 Is Fried Chicken Keto Friendly? 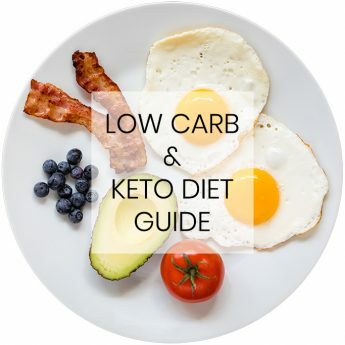 Can you eat fried chicken on keto? Unfortunately not regular fried chicken, which is breaded with high-carb wheat flour. But, that doesn’t mean we have to say goodbye to the concept. We’ll just make low carb fried chicken in the air fryer instead! So, how to make fried chicken low carb? It’s totally easy and doable – promise! You guys, I’m obsessed with this breading! I’ve been using it on so many things. Coconut flour with salt & pepper – This is for dredging to help the egg wash stick. Pork rinds with spices – This is the crispy exterior. Important Tip: Use one hand to handle the dry ingredients (coconut flour and pork rind mixtures) and the other to handle the wet egg wash. This will help keep the dry bowls dry, so that you don’t end up with clumpy breading that doesn’t stick. Once you have your bowls setup, you can make your low carb fried chicken! 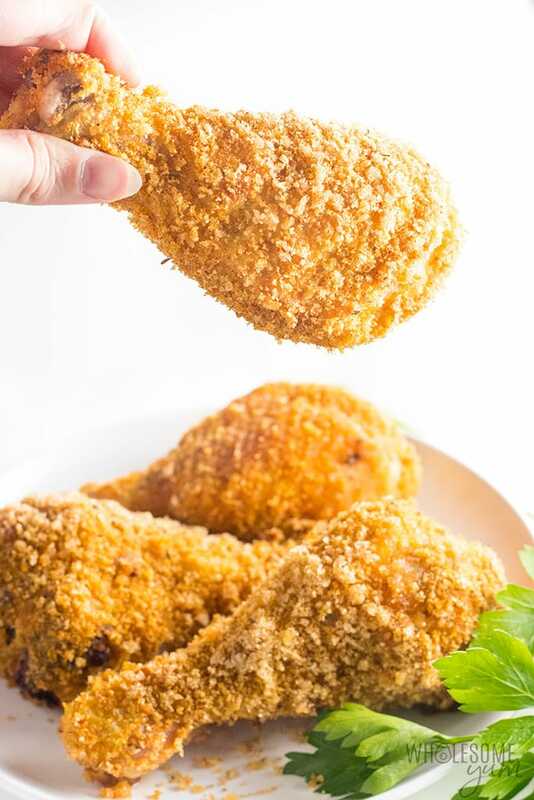 Use one hand to to dredge the chicken drumsticks in the coconut flour, then the other hand to dip in the eggs, and finally use the first hand to press it into the pork rind breading mixture. You can also just scoop the breading over the drumstick to help it stick. Another Tip to prevent clumping: Keep most of the third mixture in a separate bowl and add a little at a time to the bowl where you’ll be coating the chicken. With this method, the breading will stick very well. Place the chicken drumsticks in the (greased) air fryer basket without touching. It’s the perfect size to fit 4 of them! Finally, bake the keto fried chicken in the air fryer oven at 400 degrees F. You can do this on the Manual setting to set the time and temperature. I love the GoWise USA Air Fryer Oven, because it’s larger than a regular air fryer and has more settings. It even comes with a bunch of attachments, like multiple racks and one for rotisserie chicken. I can’t wait to share more low carb air fryer recipes with you soon. And, air fryer fried chicken is soooo crispy! 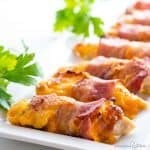 For more ideas, you can search the recipe index, or check out all the low carb side dishes or low carb salad recipes. GoWise USA Air Fryer Oven – My air fryer oven has been a total game changer! It has made low carb fried chicken a reality. Stir the coconut flour, sea salt and black pepper in a medium shallow bowl. Set aside. In a second medium bowl, whisk together the eggs. Set aside. In a third bowl, mix the crushed pork rinds, smoked paprika, garlic powder and thyme. Dredge the chicken pieces in the coconut flour mixture, dip in the eggs, shake off the excess, then press into the pork rind mixture. For best results, keep most of the third mixture in a separate bowl and add a little at a time to the bowl where you'll be coating the chicken. That way, it won't get clumpy too fast. Preheat the air fryer at 400 degrees F (204 degrees C) for 5 minutes. Lightly grease the metal basket and arrange the breaded chicken on it in a single layer, without touching. Place the basket into the air fryer. Cook the fried chicken in the air fryer for 20 minutes, until it reaches an internal temperature of 165 degrees F (74 degrees C). Great photo! Is there a substitute for the coconut flour? I hate coconuts! Thank you, Jodi! You can’t taste the coconut at all so I recommend sticking to that. 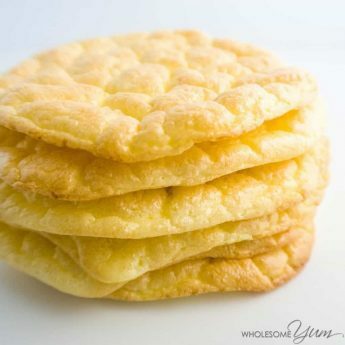 Something like arrowroot powder would also work, but it increases carb count. This is simply amazing! Thank you so much Maya for sharing. I do prepare fried chicken a lot but didn’t there were keto-friendly options. I tried this out last weekend, loved it. I have both air fryer and convection oven. Can I use the latter and how much heat should I use? Thanks. Hi Mercedes, I’m sure you could but haven’t tested it to confirm a time or temperature. This looks delicious. I have a combination of drum sticks and chicken breast. Would you cook these together or separately? I think that they would cook differently. So would I need to adjust the temperature and/or cooking time for the chicken breast? Especially if I cook them separately. Hi Teresa, The chicken breast will need less cook time than drumsticks, so you could either cook them separately or take them out sooner. 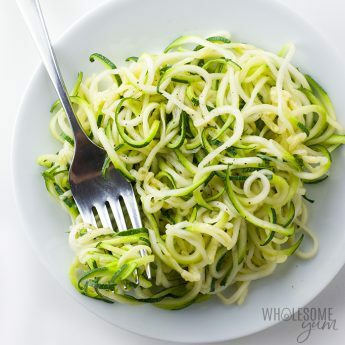 Love this healthier version of the classic favorite! This was so good! I’d make this, whole 30 or not! This chicken looks delicious! Isnt’t the air fryer great! everything turns out nice an crispy with less mess too. I’m impressed!! So golden and yummy! And thanks, as usual, for all your small tips to ensure our success! Can’t wait to make these! 1. Will this work in a regular air fryer as I do not have an air fryer oven? 3. Can the pork rinds be any flavor or do they have to be the original flavor? Hi Laura, Great questions! Yes, you can use a regular air fryer. I don’t recommend almond flour, as the coconut flour has a finer texture and is better for dredging. Its purpose here is to help the egg stick and I find coconut flour works better for that. You can use any flavor pork rinds you like! Watch for added sugar in some flavors, though. 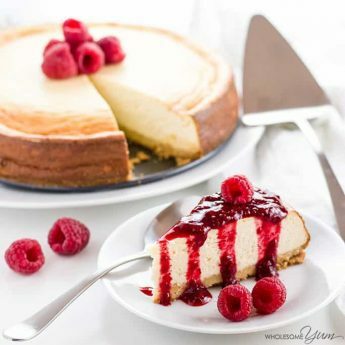 This looks delicious- I love coconut flour! Yet another reason that I need an air fryer. These looks amazing! I’m always so amazed by what the air fryer is capable of! These look AMAZING! What do you use to grease the metal basket with? Thank you, Joni! Any kind of fat will do – butter, avocado oil, etc. Wow, this breading is such a revelation! The chicken looks perfectly crispy. I will definitely try this soon! I’ve been learning to use my new air fryer recently and this crispy coating was absolutely perfect. This is amazing, I’ve been wondering about the air fryer and it really lives up to all expectations! Looks pretty perfect and sounds easy, too! That looks seriously legit! So crispy! I can’t wait to try this! I don’t have an air fryer so could this be done in the oven? I undrrstand it wouldn’t be as crispy. What would the temp and approximate time be? Also, i would like to do boneless, skinless breasts so how would i adjust for those? Hi Amanda, You probably can but it would be less crispy. I haven’t tested to say how long, but I’d estimate about 20 to 30 minutes at 400 degrees F, for drumsticks. For chicken breasts, I like them quick at a high temp – 16 to 18 minutes at 450 – and assume that would also work if breading them this way. If you don’t have an air fryer (which I don’t) can this be done in a fan forced oven? Thank you, I enjoy your recipes very much. Hi Jane, Yes, you can, but it turns out more crispy in an air fryer. Also, the time for a regular oven may take longer than the air fryer. 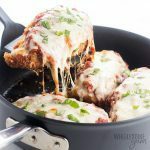 I love finding great air fryer recipes. This came out SO great and the whole family loves it! I don’t eat pork so, what can I substitute for the pork rinds? Also, will the recipe work in a regular oven as well? Hi Sha, You could try more almond flour instead, but it will be significantly less crispy than using pork rinds. Hi Maya. I don’t have an air fryer. Could this recipe be adapted to either frying the chicken in a skillet or baking it in a regular oven? I do have a pressure cooker but I really don’t know if you can fry chicken in it. Thanks! Hi Judy, The skillet would not cook it all the way through easily. 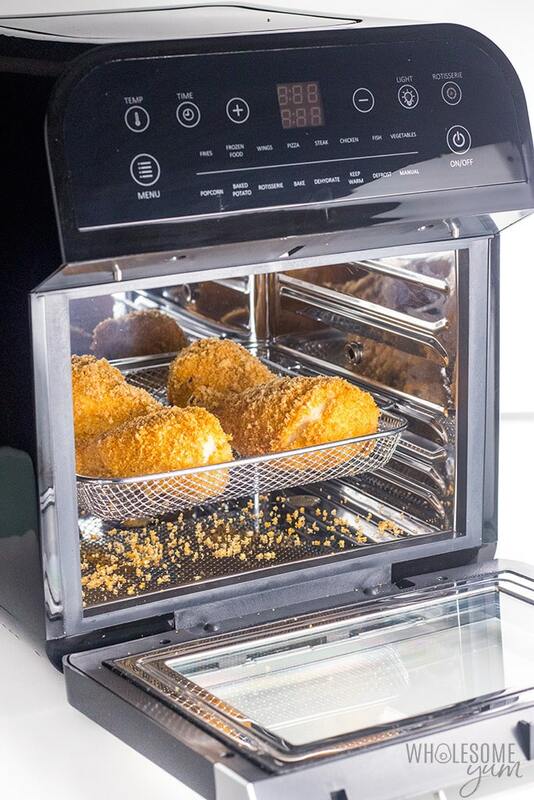 You could bake it, but it would be less crispy than the air fryer. I don’t recommend a pressure cooker for foods that you’re trying to get crispy like this. Ok. Thank you so much! 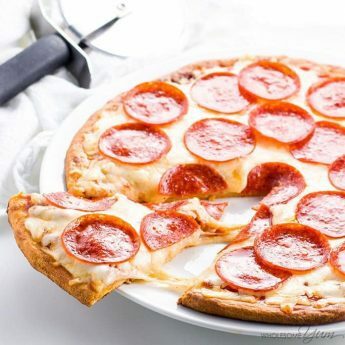 Can you make this in a regular oven? What’s the baking temperature for US? Hi Suzanne, You can, but it’s less crispy than an air fryer. You can set the same temperature as the instructions for the air fryer. I live on a fixed income and can’t afford an air fryer. Can this be made in the oven? I do love your recipes. Hi Pam, Yes, you can. It doesn’t get as crispy as it would in an air fryer, but is still good!